More Hockey Less War » sauce & salsa time! Pico de gallo this morning, marinara tomorow. Chop all ingredients and mix in a bowl. 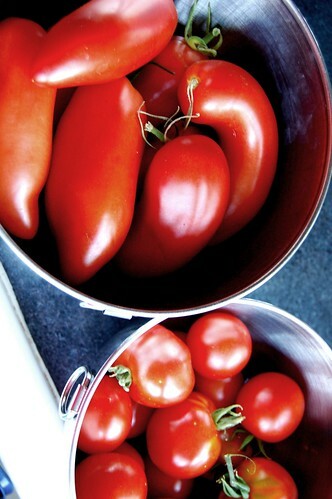 If you like it spicier, increase the proportion of onion, chilis and cillantro to tomatoes. This entry was posted on Saturday, September 22nd, 2012 at 4:34 pm and is filed under Food, Gardening, Me, Photos, Recipes. You can follow any responses to this entry through the RSS 2.0 feed. Both comments and pings are currently closed.